For many, seeing the Grand Canyon is a once in life time experience which is never forgotten. 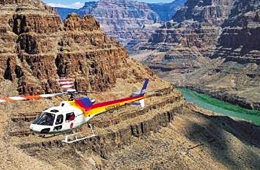 The beauty of taking a Grand Canyon helicopter tour is that not only will you enjoy the views of the Canyon, but you will do so from a low-level flight in a state of the art helicopter. Imagine experiencing the magnificence of one of the Seven Natural Wonders of the World from a position that is impossible to see from the ground, all while seated in complete comfort and safety. But you don’t just have to be a spectator. Should you want to combine an aerial tour of the Canyon with an activity then all of this is possible with a Grand Canyon helicopter tour. All of our tours begin in the beautiful city of Las Vegas and include a pick up and drop of service to your hotel, thus increasing the ease and comfort in which you receive your Grand Canyon experience. 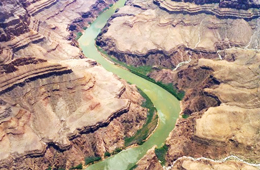 And not only will your flight let you take in the wonder of the Canyon, you will also be able to witness many other spectacular aerial views from the tour on the way there and back. You will fly over sights such as Lake Mead, Lake Las Vegas, the Hoover Dam, the Black Mountains, and of course Las Vegas itself. 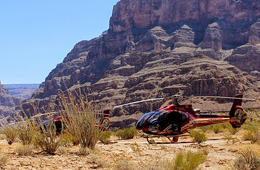 It is possible to get a Grand Canyon helicopter tour at any time of the day, and because all of our tours range in duration it is possible to book a tour that fits in with your schedule. Due to the popularity of our tours it is always best to book early to avoid disappointment. And because you can book securely online there should be no reason for that to happen.